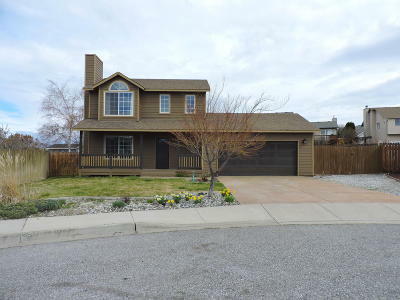 Appealing 3 bedroom 2.5 bath home in Fancher Heights. All bedrooms on the upper level. Plenty of room to entertain in the large fenced backyard and open kitchen area. RV parking and sprinkler system. Hot tub hook up and slab ready for you. Newer laminate flooring & kitchen floors w/ all stainless steel appliances + newer heat pump. Come view today!